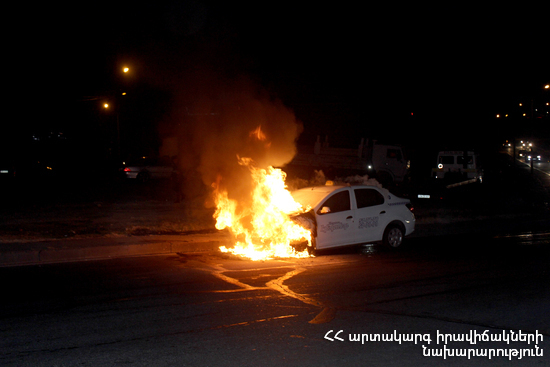 On February 11, at 00:50 an emergency call was received to “911” service that a car was burning near 5/8 Yeghishe Tadevosyan street, Yerevan. Two fire units from the fire and rescue squad of the rescue service of MES of RA dispatched to the scene. The fire was localized at 01:05 and extinguished at 01:24. The salon and engine of “Volvo” car burnt down.